Congratulations on the newest member of your family! 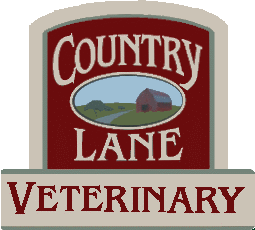 We at Country Lane Veterinary Services go above and beyond for our patients and treat each one just like they were our own pets. Whether you are coming in for an annual visit or have a sick pet, we provide the best possible healthcare for your pet. Please call us at (585) 589-9835 so we can set up an appointment for you. Kittens should start receiving vaccinations between 6-8 weeks of age. They will continue to receive their booster shots every 3 weeks until they are 12 weeks old. After the 12 week appointment, they will receive shots again in one year, and then after that they will receive them every 3 years. Feline Leukemia and FIV is a disease that kittens can get from their mothers and well as from other cats. It is a preventable disease but it cannot be cured. It is recommended to have your kitten tested when they are over 9 weeks old or if they weigh more than 2 lbs, especially if you have other cats in the house as they can get these diseases if they are not vaccinated against it. If you plan to have the kitten be an indoor/outdoor cat and they are tested negative for these diseases, we do encourage you to keep them vaccinated against it. If they have previously been vaccinated, then we will review the paperwork from the previous vet and discuss which vaccinations they are currently due for. If you have no previous vaccination history, we must assume that the cat has never been vaccinated before and they will need to receive a number of vaccinations before they are completely protected. Puppies should start receiving vaccinations at 6 weeks of age. They will continue to receive their booster shots every 3 weeks until they are 16 weeks old. Some breeds will need to continue receiving vaccines until they are 20 weeks old. After the 16 week appointment, they will receive shots again in one year, and then after that they will receive them every 3 years. Dogs are highly susceptible to getting Heartworms as the disease is transmitted through mosquitoes. A heartworm test is recommended when your puppy is 6 months old. If the test comes back negative, we encourage you to keep your puppy on year round heartworm prevention as we are now seeing mosquitoes in the middle of winter. We have many different options for heartworm prevention, so when you come in for your appointment, we will help you choose the best option for your puppy. If they have previously been vaccinated, then we will review the paperwork from the previous vet and discuss which vaccinations they are currently due for. If you have no previous vaccination history, we must assume that the dog has never been vaccinated before and they will need to receive a number of vaccinations before they are completely protected. Spaying and neutering your puppy or kitten is highly recommended as many health problems can occur when this is not done. We spay and neuter puppies and kittens when they are 6 months old as their liver and kidneys have developed enough at this time to handle the anesthesia. When you come in for the 12 week old appointment, we can schedule this surgery at that time. We recommend pre-surgical bloodwork before all surgeries to ensure your pets safety while under anesthesia. This will also give us a baseline for comparison for future treatments. The health of your pets teeth is essential for their quality of life as well as their overall health. The constant showering of bacteria that is built up in the tartar can really take a toll on your pets system. A dentistry is recommended for any teeth that you feel you would have cleaned by a dentist if they were your own. An examination of your pets teeth is part of their yearly exam. We will discuss regular maintenance cleaning on your pets teeth that can be done at home as well as any in hospital procedures that need to be done. One flea can lay up to 50 eggs per day and usually if you see one flea, their are many more you aren't seeing. It is highly recommended you keep your pet on flea prevention year round,as they can cause more problems than just itching and scratching, and they can live in your household in the winter months. We offer a variety of products for you to choose from and we guarantee our products. Please call us today so we can set up an appointment and discuss which flea product is best for your pet.